Ohhhhhh my goodness you guys. I have been thinking about doing this blog for months, and now, in the dead of winter, when my soul most needs uplifting, I have done it. 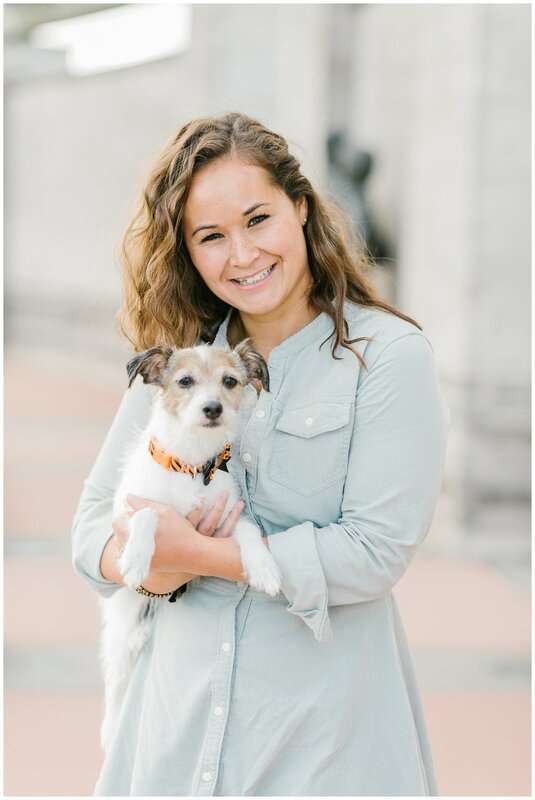 It should come as no surprise that I go absolutely ga-ga for dogs, and even more so when I get texts from clients asking, "Hey can we bring our dog(s)?" To which I always respond with an emphatic, "YESSSSSSSSSS." So I've put together a few highlights from 2017 that feature the best good boys and good girls, our bark-ners in crime. So grab a cookie/biscuit/treat, and snuggle up for some honest to goodness cuteness. First meet Chopper, aka Sir Snugglesworth! This sweet boy warmed my heart with his love of fresh cooked eggs, his bone, and his insatiable desire to snuggle with his momma Kate. He is a grade A good boy. I mean LOOK AT HIS SMILE! My next four-legged friend is Quincy! Just look at his handsome face! Quincy is a Newfoundland/Poodle mix aka Newfypoo aka Newdle. YES... NEWDLE. 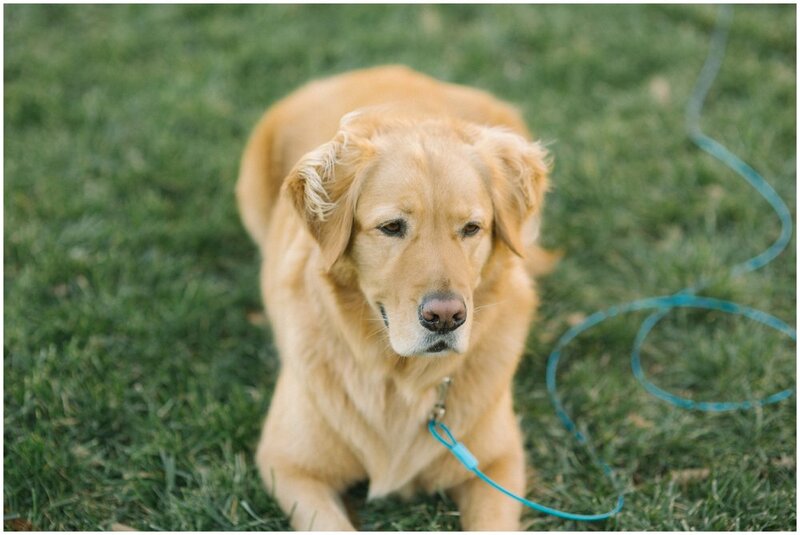 We walked to his favorite spots in the neighborhood for his humans' engagement session. But let's be honest, it was mostly a glamour session for Q and he nailed it. Quincy is fond of food, snuggling, and being totally lazy. Now meet, Money! I first met little Money when her humans' were getting married. Money and I have had a couple sessions over the years, including a special appearance on the big day (her big day if you ask her!) But one thing is for sure, Money's cuteness is priceless (see what I did there!?) and she's got a lot of personality in that teeny little body. Say hello to Dallas and Karma, aka Bubba and Baby Girl! This adopted brother/sister duo live in the swankiest downtown abode. 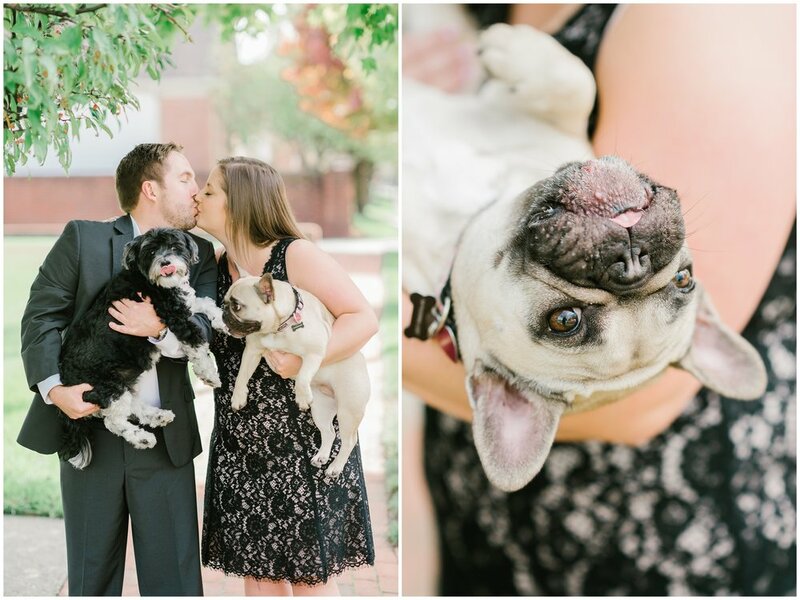 Bubba and Baby Girl are always up to some hilarious antics, including making the best faces on camera. 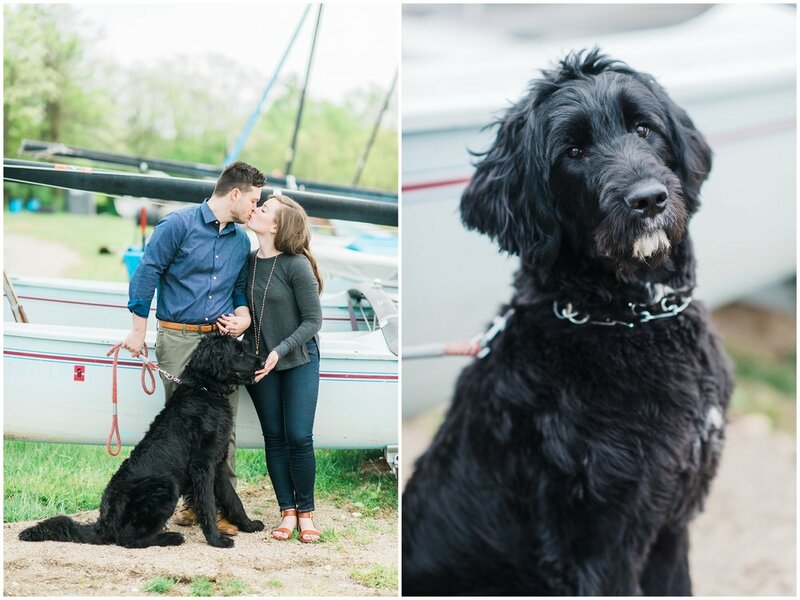 Their humans are getting married this year and making this little family official. Polo and Wrinkles are the next babies on my list. And they do not disappoint! These two buds met me in front of their house to do some shots for their modeling portfolio's. I say their careers as professional model pups are looking very promising! Wouldn't you say? This is George and his family. I got a two part photoshoot for Georgie because he is just that cute. Seriously, look at his outfits. George has some serious game! He's so fashionable! And that head tilt... GIVE. ME. A. BREAK. I just can't. Next meet Piper, the proud Purdue Alum. She has a honorary degree in Being a Good Girl with a minor in Chasing Squirrels. Piper is quite the intellectual but she really enjoys life's simple pleasures. Next meet Stella! Stella's humans are getting married this year and she wanted to be a part of letting everyone know! When Stella isn't helping plan the wedding, she's chasing all the tennis balls and spending time with her uncle. This is Boozer! His humans got married last year and he got to walk them back down the aisle after they said, "I do!" Boozer totally stole the show's finale and even got to be on the Thank You card that went out afterwards to all his fans. When he isn't being the most perfect boy on camera, he's swimming in his human's lake and living his best life. We've almost reached the end of this dog blog, and I would be remised if I didn't take the opportunity to introduce my own doggos. Meet Edie (left) and Winnie (right). Winnie enjoys air conditioning, a nest of blankets, and all the cookies. Edie has the squishiest face, is the best at frisbee, and gets scared of her own toots. They each have their own respective roles in the business. Winnie is Head of Hooman Resources while Edie is Head of Barketing. They are paid generously in pets and cookies. That was a lot of cuteness in one blog, and I'm not sure if any other blog I write will ever top this one, but I have to end with one more intro. Meet Phoebe and Bagheera! This brother/sister feline outfit made the most adorable appearance on their humans' big day. They even had special collars made for the occasion. Hello fancy! That wraps it up you guys! I don't know about you, but I have all the feels right now. I'm so excited for another year of pets at sessions and cannot wait to share them all with you! 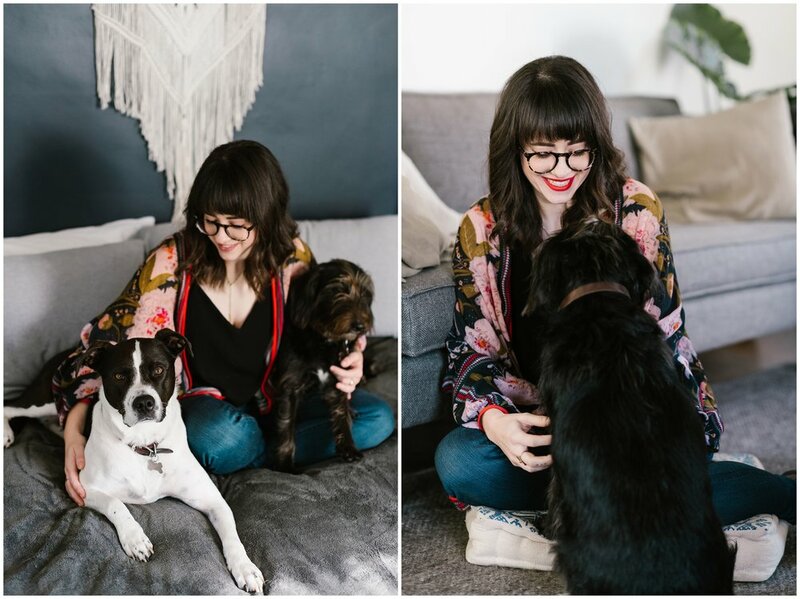 Extra special thanks to Stacy Able for photographing me and my two babies.